I really wanted to like these pink grapefruit scented face wipes by Neutrogena, but unfortunately I ended up using them once and then tossing them in the trash bin! At first, I was like “Oooh, grapefruit”, but then there was a lingering odor that wouldn’t go away; an odor that can be best described by comparing it to cat urine – so not cute! Not only was the smell offensive, but also, my skin was a little sensitive to these wipes, which has not been the case with other Neutrogena products that I’ve tried. After wiping my make-up off, my cheeks actually burned a little and were slightly red. Nothing crazy, but still I thought I should mention it for folks who have sensitive skin. Sorry Neutrogena, I still love you, just not this particular product. 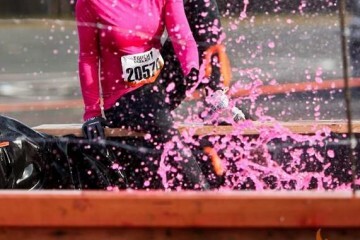 It’s Official: I’m in theTough Mudder Race! 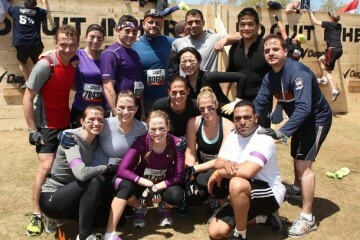 Recap: Running the Tough Mudder in Pennsylvania!